At Golden Rock Inn, Dioon edule, Encephalartos and Cycus spp. are planted above a broad expanse of Spartina bakeri. The Cultivated Wild: Gardens and landscapes by Raymond Jungles. The work of Raymond Jungles, Inc spans continents and climate zones, and places of exceptional luxuriance. From a base in Miami, Florida, founder Raymond Jungles works in the Caribbean, the West Indies, the Bahamas, Mexico, Montana and New York. Collaborators include architecture practices Bjarke Ingels Group, Herzog and de Meuron and Gehry Partners, but projects alongside buildings are not the firm’s central focus. 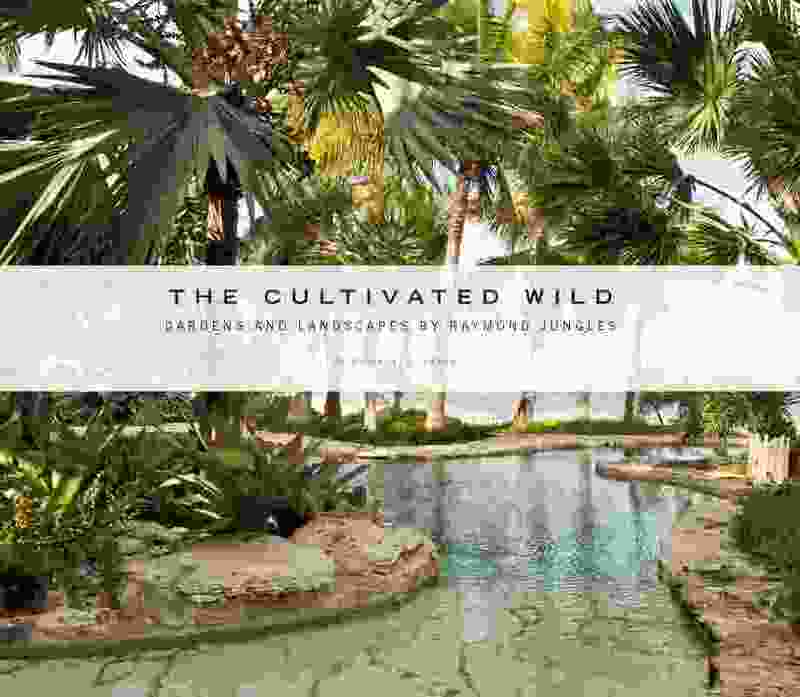 Raymond Jungles, Inc has also grown outside its experience designing landscapes for resorts and private estates and is now working to bring Jungles’ planted wilds to the public sphere. This can only be welcomed. The Cultivated Wild, published by The Monacelli Press, showcases Jungles’ recent projects, revealing remarkable approaches to design thinking with plants. Since I chanced on the work during a routine internet search a year or so ago, the book has rarely been far away amid the chaos of my desks. 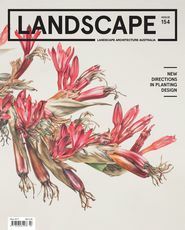 The book has prompted considerable reflection and questioning, largely focused on why such a publication is so rarely produced in Australia and why landscape practice here seems so oddly divorced from the world of plants. 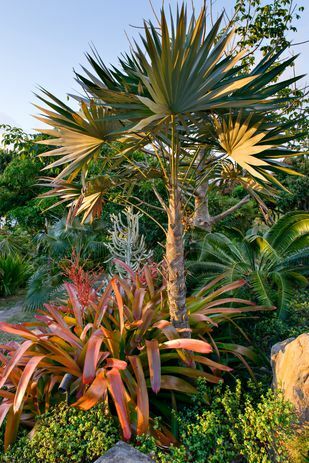 Planting design is a defining art of landscape architecture; thinking with plants, reading about them, growing weird plants and gardening have long been obsessions of mine. Now, the set of literary benchmarks to which I often return has been extended. Alongside The Education of a Gardener (Russell Page, 1962), The Adventurous Gardener (Christopher Lloyd, 1983) and Colour Schemes for the Flower Garden (Gertrude Jekyll, 1908) stands another provocation: The Cultivated Wild. It has taken some months and the necessary focus of writing a review to fully comprehend the attraction of Jungles’ work. Perhaps it is the drawings: highly detailed plans, sections and elevations that reveal the processes of a designer who thinks with plants. Executed in ink, coloured pencil and soft crayon, the plan studies are overlaid with fine red pen, exploring composition and recording the imaginations of a very detailed planting vision. A hand-drawn plan of Golden Rock Inn by Raymond Jungles. The elevations and vignettes integrate planting forms and constructed features in scenes that are created around the presence of specific species, and which only achieve balance with time. The spaces arise from this knowing: that mood, atmosphere, sound, colour and light can all be factors that only specific plants can bring to a scene. Final set-out is achieved on site. The photographs in the book are faithful records of the practice’s projects, shot “in wide” and in detail to explore the designs from many angles. The images command long study, as the content slowly seeps from the page or is cross-referenced with the plans. One note requires “bent Sabals” – presumably Sabal minor (dwarf palmetto) – for a key location in a design, and there they are, a leaning, bent sculptural form in the scene, adding essential “relaxation” and a sense of natural dis-order to an otherwise simple linear plan. 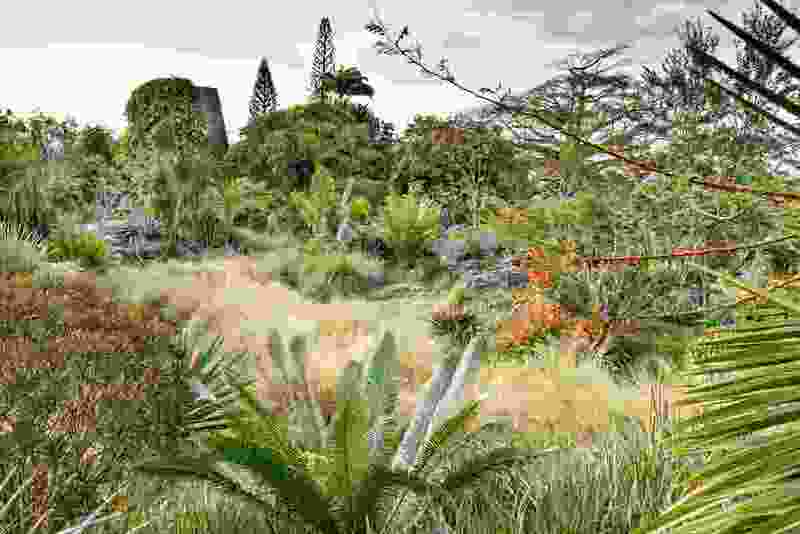 Jungles calls up “nature” as if to order, arranging plants and their hardscape surrounds in exceptionally cohesive composition and then allowing wildness to creep back in. This is an exercise in prediction, patience and deep knowledge. 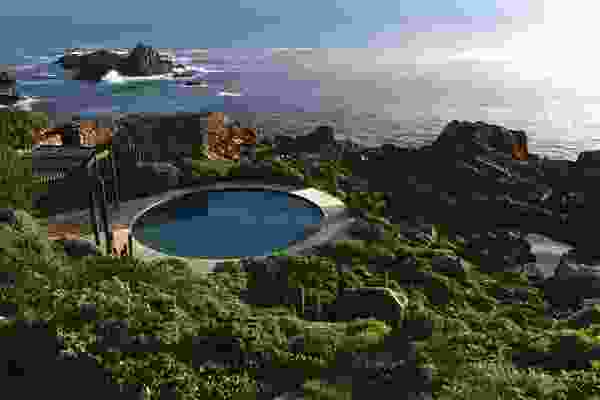 Landscape architects in Australia, however, often avoid planting design as if it were taboo. Perhaps it is because it reveals all – there is no escape from the results and it is really, really hard. Jungles’ work also directly recognizes that landscapes should improve with age. 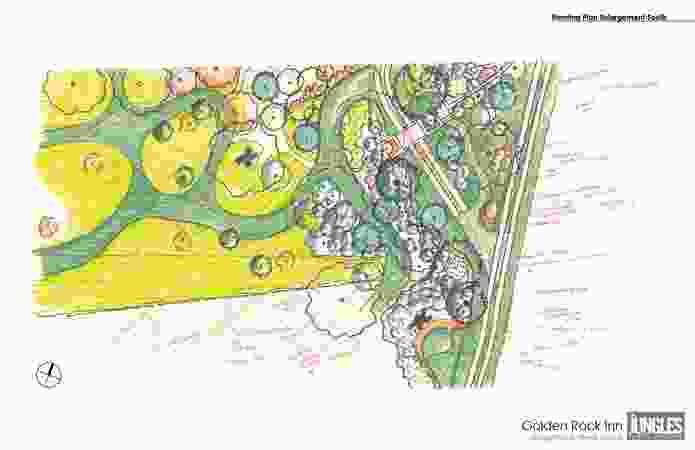 If one accepts this, and plans for it, then planting design will become central to a way of working. Results take time, and they require consistent return visits and just the right maintenance intervention. 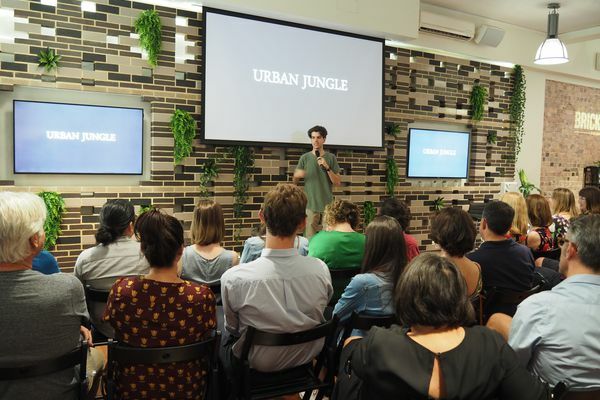 Linking design with maintenance and plant growth: this is a vital ingredient of serious work in our field and it is central to the design thinking of Jungles. Landscape architects in Australia, however, often avoid planting design as if it were taboo. Perhaps it is because it reveals all – there is no escape from the results and it is really, really hard. I think there is also a set of cultural tropes at work: fear of the bush, the hassle of maintenance, disdain for the cost, a bourgeois love of neatness. There is also a lack of knowledge. It is telling that Jungles started his career as a landscape labourer and nursery hand and then spent periods studying the work of his great inspiration, Roberto Burle Marx, in Rio de Janeiro and elsewhere in Brazil. 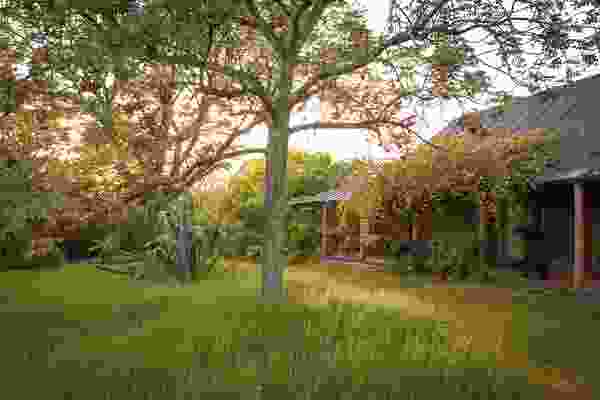 The Golden Rock Inn gardens designed by Raymond Jungles and Helen Marden. The property is a centuries-old sugar plantation located on Nevis, an island in the West Indies. There is no substitute for hands-on experiences working with plants, but the meagre offerings of the landscape architecture schools in Australia are in large part responsible for the failure to nurture our central tradition. 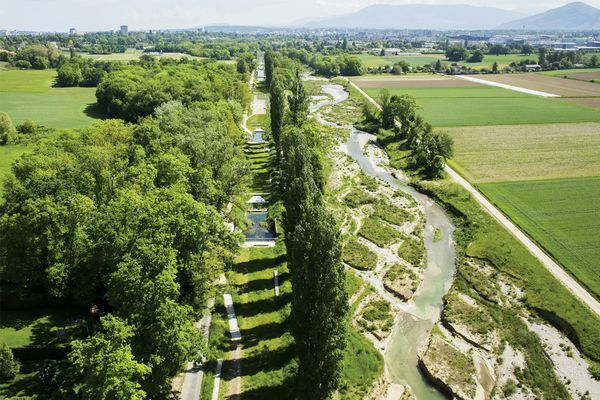 How it has come to pass that planting design is so weakly supported defies comprehension and this is only reinforced by the professional body for landscape architects in this country – but that is a longer and even sadder story. The Advanced Planting Design subject in the Master of Landscape Architecture program at the University of Melbourne (led by Paul Thompson) is an exception, but it is offered only as an elective – the subject can be sidestepped once again. In the past in our schools, a planting design esquisse accompanied every design project. Nowadays, there might not be a single one. Formal education is only one source of knowledge, but it helps to set priorities for future life. The work of Raymond Jungles, Inc throws a challenge to us all. The practice has transcended the oeuvre of its acknowledged master – one of the greats – and reminded us of the essential knowledge, skill and joy that is only ours as landscape architects: to design and to think with plants. If our work is to improve with age, to display our predictions about life, and to encourage growth, change and resilience, then planting design needs to once again become the real foreground of our national conversation. We need to re-establish the discipline in our schools, to recognize exemplary work and to once again make it okay to talk about plants. This is our true professional lifeblood, the reason we exist, and the source of all future abundance in our discipline.